How far would you travel for silver and gold? After Arizona became a separate territory on February 24, 1863, New Englanders searching for gold came to Arizona and founded the town of Prescott. 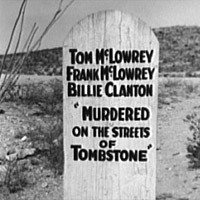 When silver was discovered at Tombstone, Arizona, in 1877, nearly 7,000 people came to the territory. Four years later, the rough frontier town became the site of the famous gunfight at the O.K. Corral. By the 1880's the Arizona territory was bustling with fortune seekers from all around the world. In 1912, no longer a lawless frontier, Arizona became a state, but precious metals and gunslingers were only a part of Arizona's heritage.